Kokoro Gin’s three new flavoured gin liqueurs. Credit: Kokoro Gin. 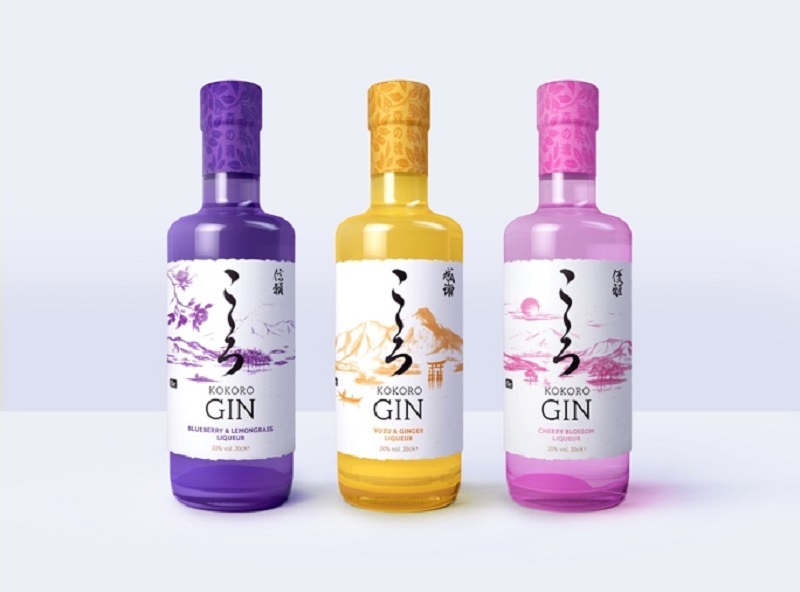 Kokoro Gin has added three new flavoured gin liqueurs to its portfolio. The new range features flavours such as blueberry, lemongrass, ginger, cherry and yuzu, which is a Japanese citrus fruit. The blueberries used to make Kokoro Blueberry and Lemongrass are cultivated in the Nagano Prefecture in Japan. Kokoro Yuzu and Ginger Liqueur is a sweet and tart gin, while Kokoro Cherry Blossom Liqueur combines floral flavours with a hint of cherry. Kokoro Gin founder James Nicol said: “We’re delighted to be adding these exciting Japanese liqueurs to the Kokoro family. We’ve spent the last two years developing the range using authentic, natural Japanese ingredients. The three liqueurs are packaged in glass bottles, depicting Japan-inspired imagery that when placed together form a triptych of Mount Bandai in Fukushima. With 20% alcohol-by-volume (ABV), the new Kokoro Gin Liqueurs range will be available from mid-March this year across the UK with a suggested retail price (SRP) of £11.50 for 20cl bottles and £19 for 50cl bottles. Kokoro Gin was launched in 2016 by James Nicol and his brother-in-law Barry Darnell. The company’s listings in the UK and the appointment of distributors in Japan, South East Asia, Canada and Australia allowed Kokoro Gin to increase its monthly sales by more than 36% in the past 12 months.